Nepalese New Year 2076 was celebrated by Nepalese people all over the world with great enthusiasm and fun. With no exception for Gurkha Company Catterick Recruit Intake 19, Permanent Staff and Babaji Comapny have celebrated Nepalese New year on 14th April 19 in traditional and fashionable manner. Over 600 personnel gathered to celebrate the event. There was much joy as the whole company unites to welcome the New Year BS 2076. Bhanu Square was decorated in traditional Nepalese fashion. Recruit Intake 19 and training team performed cultural show to mark the occasion. Greetings were exchanged, and new year resolutions were made among the staffs and trainees. 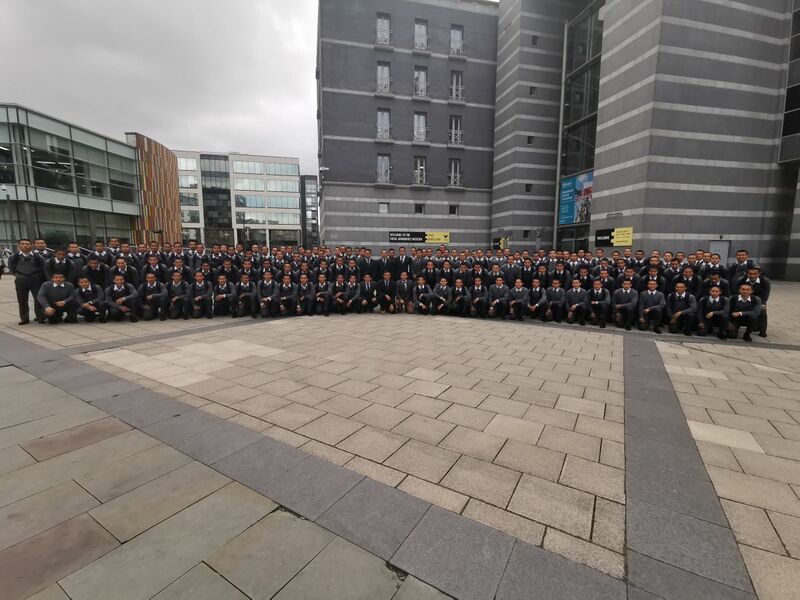 This was a unique and first New Year celebration for Recruit Intake 19 in the UK. They have enjoyed this unforgettable event as it was the first formal function for them since their arrival in Gurkha Company. Welcome and farewell programme was also highlight of the event for incoming and outgoing staffs. 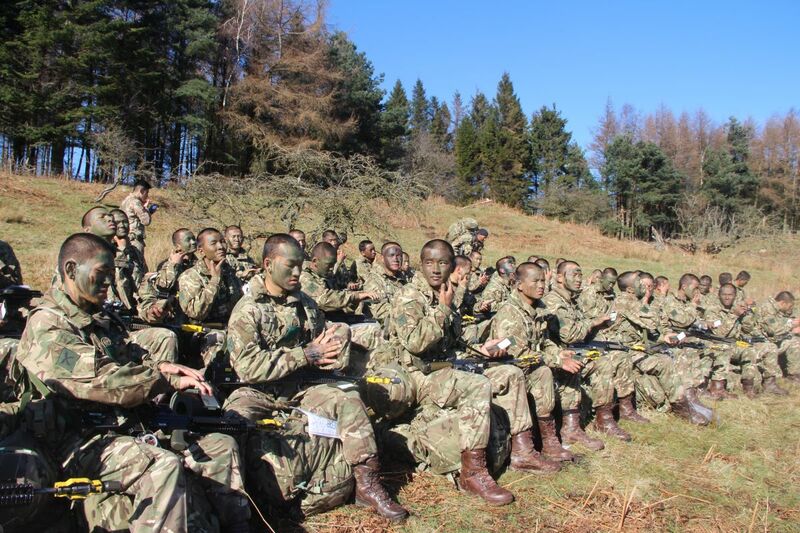 With resolution message from Officer Commanding Gurkha Company to all Training Team ‘Prepare and train these young men to best of our abilities and deliver them to the Field Army by November 19’. On 1st April 2019, the very last introductory exercise began. This exercise was four days long on which the first two days were revision of all the lessons that we were taught on past exercises. 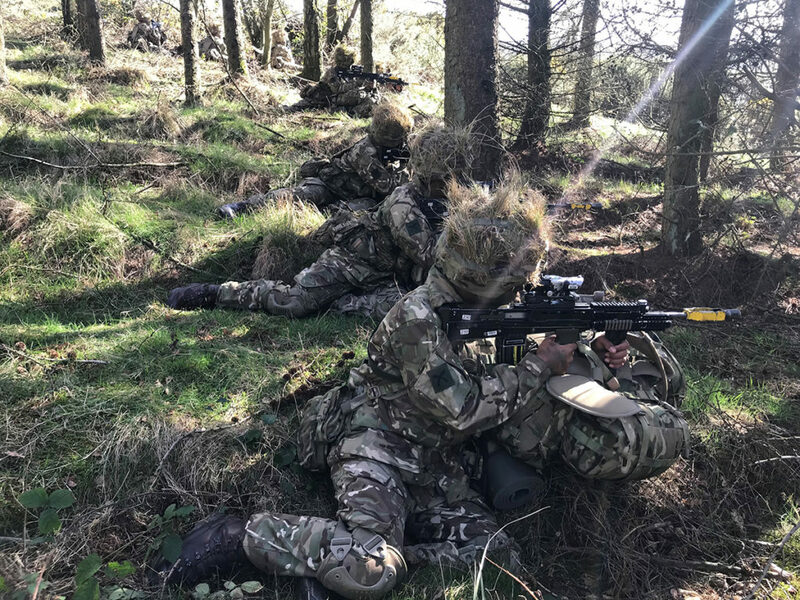 On the first day of exercise we were taught about the reaction to effective enemy fire, close quarter battle and firing from behind the cover. All those lessons were new and very interesting for us. In the evening, after dinner, we went for night patrol where we learned about actions on lights. However, the best part for most of us that evening was stalking. Everyone enjoyed that lesson on how to get more closer to the observer whereas on the other side, the observers themselves identifying the stalkers. The next day was very cold and challenging as it started raining early in the morning. It was our formative test which was taken by our own section commanders. Later that day, we had lessons and more practices of individual, pair and fire team fire and manoeuvre.Finally, the judgement day had arrived; the day of summative test. That day was even more challenging because snowfall was not so pleasure. 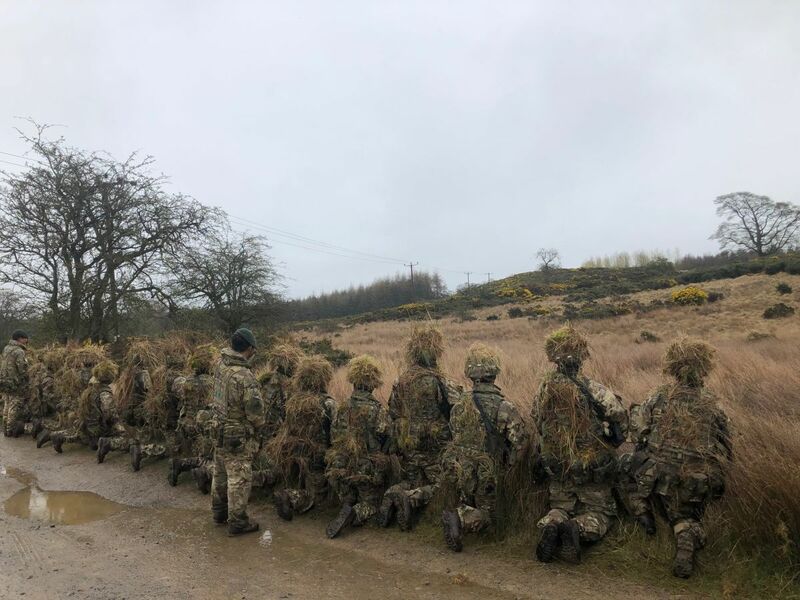 We had the test about camouflage and concealment, indication of targets, judging distance, observation and fire and manoeuvre where we were marked according to our performance. “Obstacles can’t stop you. Problems can’t stop you. Most of all, the other people can’t stop you. The only who stops you is yourself”. We didn’t stop, and our hard work paid off. 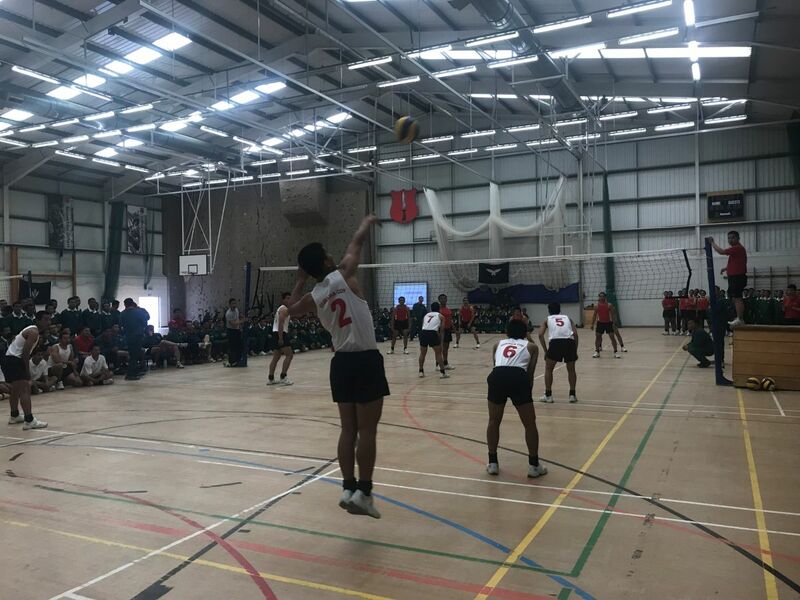 Recruit Intake 2019 Inter Section Volleyball Competition was held on 30th March 2019 at McKay VC Gymnasium in Vimy Barracks. 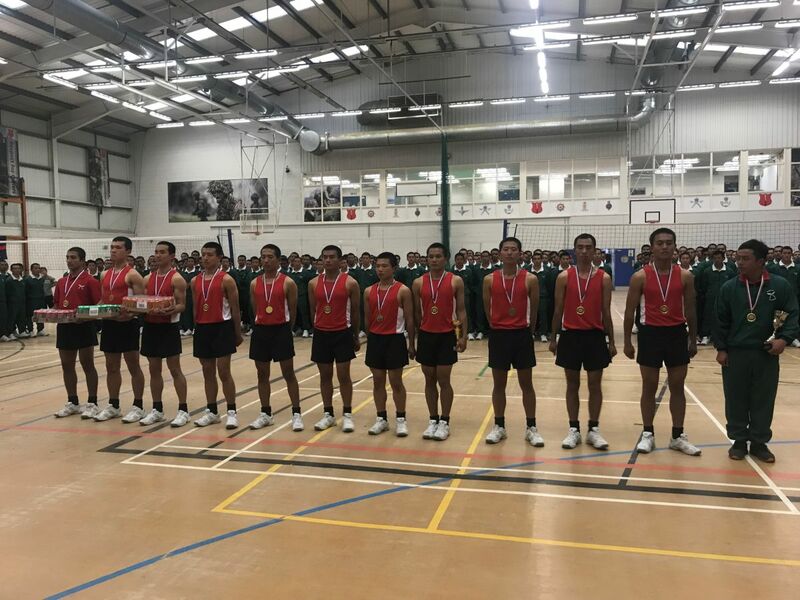 Led by Captain Bel Bahadur Gurung (9 Platoon Commander), the event aimed to develop the team spirit and cohesion within the section and Platoon to promote welfare and boost morale of trainees and permanent staff by means of sporting event. The gymnasium was full of people where 36 sections of Trainee Rifleman (T/Rfn) and 4 teams of permanent staff were participated. The environment inside the gymnasium was pretty much kind of big sporting event where the trainees could feel friendly atmosphere away from military training. The sharp blast of whistles and echo of the supporters added more excitement and thrilling to whole audiences. The match was played for 10 minutes running time on knockout basis therefore winning team was awarded two points and zero for the losing team. 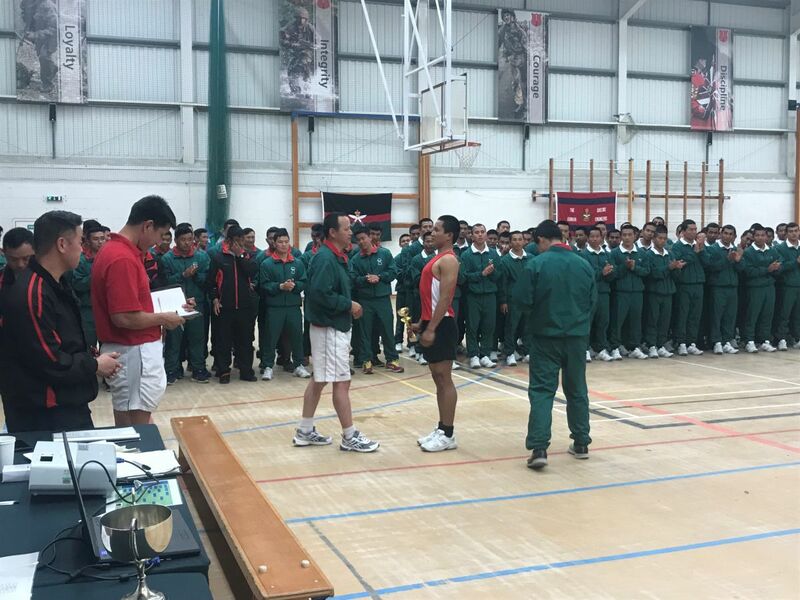 At the end of the match, Officer Commanding Gurkha Company gave away prizes to the winning teams and individuals and addressed the Company by highlighting the importance of team spirit, team cohesion, winning mentality, our Kaida and maintaining our tradition. He also mentioned that the event was an introduction and more to come in near future. Introduction Exercise 3 for B Wing Recruit Intake 19 was held over the period of 25th-28th March 19. This Exercise aims to test the recruits on basic fieldcraft skills that are taught during Intro Exercises 1 and 2. However, on the first day of deployment they are taught fire and manoeuvre lessons; shoot, move and communicate. The second day is to practice and prepare the trainees for the test under their respective Section Commanders. 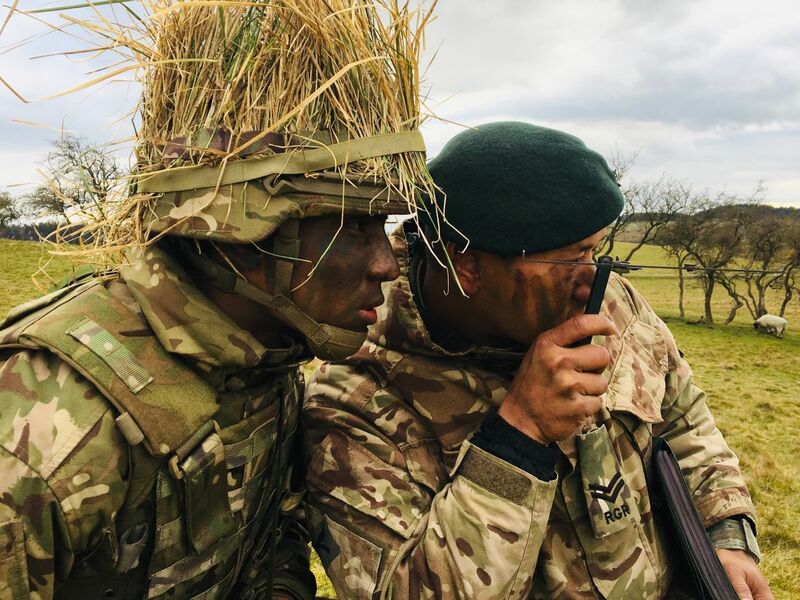 The trainees participated in various tests; target indication, judging distance, camouflage and concealment, fire and manoeuvre (individual, oair and fire team) and observation on the third and fourth days. A test for personal admin in the field was conducted every morning. They all managed to achieve the required standard and it is pleasing to see some of trainees are on their top of their game. 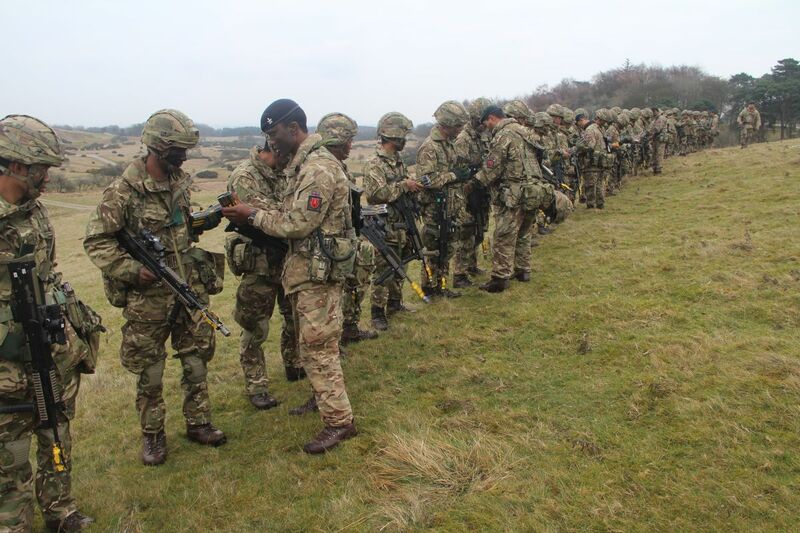 Overall, they have displayed a high standard of basic fieldcraft and soldiering skills during the exercise. Now, B Wing is looking forward to apply these skills on forthcoming exercises. C Wing and A Wing will be participating on the first week and 3rd week of April 19 respectively. Recruit Intake 19 Pahilo Kadam to Darlington. One of the most memorable early days for Recruit Intake 19 was Exercise Pahilo Kadam (First Step). It is designed to help the recruits understand and familiarise with the British Culture and places. On 22nd March 19, trainees were briefed by their Section Instructors on various subjects; ranging from how to use public transport, traffic rules, how to shop and how to order in restaurant. They started their journey from Helles Camp to nearest superstore called Tesco. Then they were guided to the nearest bus stand and introduced to purchasing a bus ticket. They took the bus to Darlington via Richmond area. During their ride, they had first ever opportunity to witness the beautiful scenery of the local area. They also visited the shopping malls in Darlington and had a chance to have their choice of lunch in, McDonalds and or Burger King. It was their first ever day out in the UK. After the recruitment process more new faces from Nepal are introduced to the Brigade of Gurkhas as a new members of British Army. During the 9 month training programme for new Gurkha recruits at the Infantry Training Centre (ITC) Catterick we attend certain cultural events and visits to help us adapt to UK culture. On 22nd March 2019 we had our PAHILO KADAM, everyone was ready and excited to walk through the streets of Darlington and Richmond. After breakfast we headed towards the local Catterick area where we went into this big department store called Tesco and did some shopping. We also spotted the cinema and were so excited at the possibility of watching Hollywood movies. Our Gurujis taught us about the normal traffic rules, traffic lights, pedestrian crossings, walking and cycle lanes, the bus station system and much more. Before heading towards Darlington, we quickly scanned the military shop as well for future reference. When we arrived in Darlington our Section Commanders quickly briefed us and then we had a massive lunch at a Chinese buffet before taking the chance to explore nearby shops. We had hoped to visit the museum at Richmond but unfortunately it was closed and so we were unable to see the history of British Army. However, we will get the opportunity at a later date to revisit the museum. Everything went as per our Gurujis and Saheb brief and the day was a huge success. Everything here in UK is very systematic and properly managed which is very good to see. I am looking forward to exploring more of the UK in the upcoming weeks and adapt to its culture and traditions. As the saying goes “When in Rome do as Romans do”. Recruit Intake 19 visited to The Royal Armouries Museum in Leeds as a part of their programme on Realities of War. The visit programme was over the period of 18th – 20th March 2019. A day was allocated for each Wing. Trainees were mesmerised by the different arm and armour that had been used throughout the centuries. A true collection of wide variety of historical periods and cultures. The weapons and armour featured varied from the common to the very exoteric. They enjoyed some excellent shows with outstanding actors. In overall it was a very fruitful day with lots of information. This will definitely help all the trainees to understand, motivate and achieve more in future. Introduction Exercise Two was the second field exercise for Recruit Intake 19. 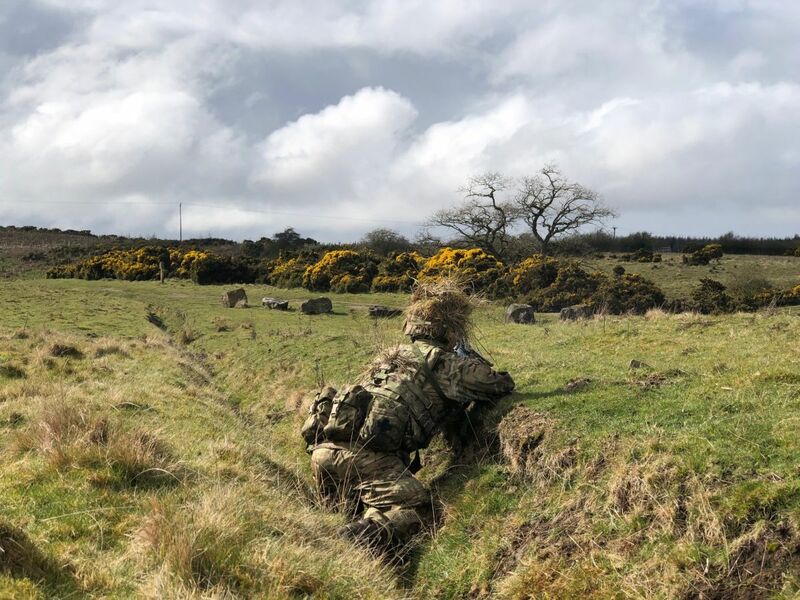 The aim of the exercise was to practice that was taught on Introduction Exercise One, teach and develop their tactical awareness through a series of fieldcraft lessons and practices. 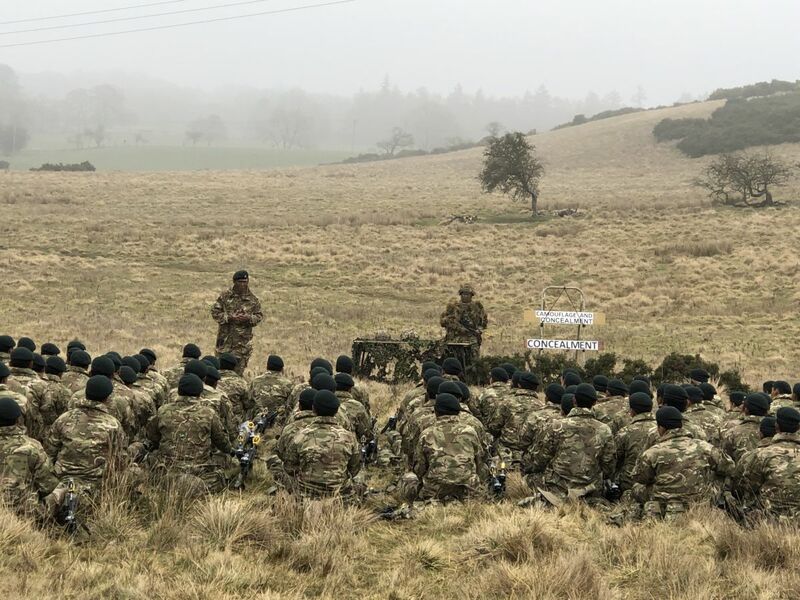 The lessons were focused on: judging distance, target indication, harbour drill, fire control order, duties of sentries, making sketch, range cards and night movement. It was the very first time that they were firing their rifle with blank ammunition. The lessons were taught and practiced at day and night. They were taught the methods and techniques on accurate judging distance and importance of target indication in correct sequence of fire control orders. This was the second time they conducted platoon harbour drill and they were aware of duties of sentries and the importance to produce accurate range cards for sentry positions and their shell scraps. The night movement with in their sections was challenging due to weather. The trainees are developing day by day and gaining their confidence, adapting from barracks to the field as a soldier. They are enthusiastic and keen to learn and develop in upcoming exercises. Recruit Intake 19 is the largest recruit intake to arrive at Gurkha Company (Coy) in recent history. 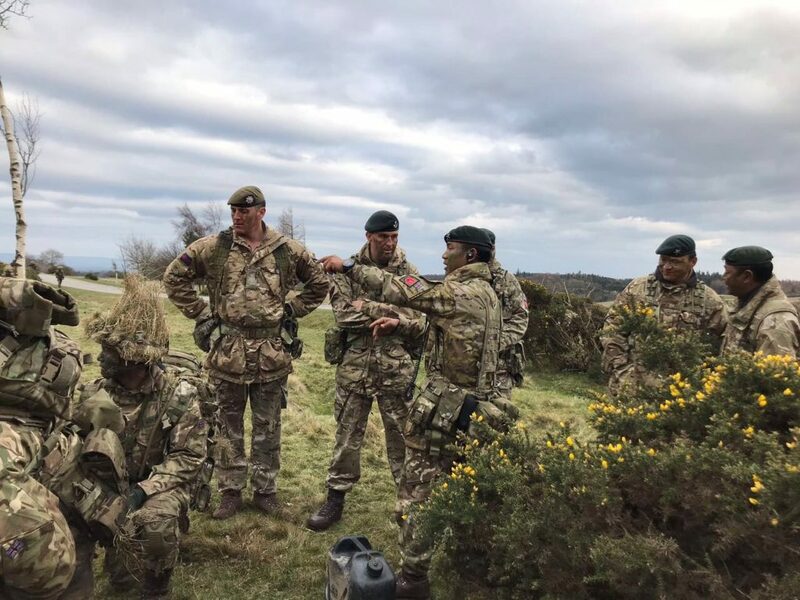 It is to ensure that the creation of new squadrons throughout the Brigade of Gurkhas can be adequately manned and is the start of a challenging and rewarding journey for the young men from Nepal. They were greeted at Gurkha Coy lines by all permanent staff, eager to meet their new recruits and begin shaping them into Gurkha soldiers. After an initial brief from the Battalion Second in Command, it was straight to work. 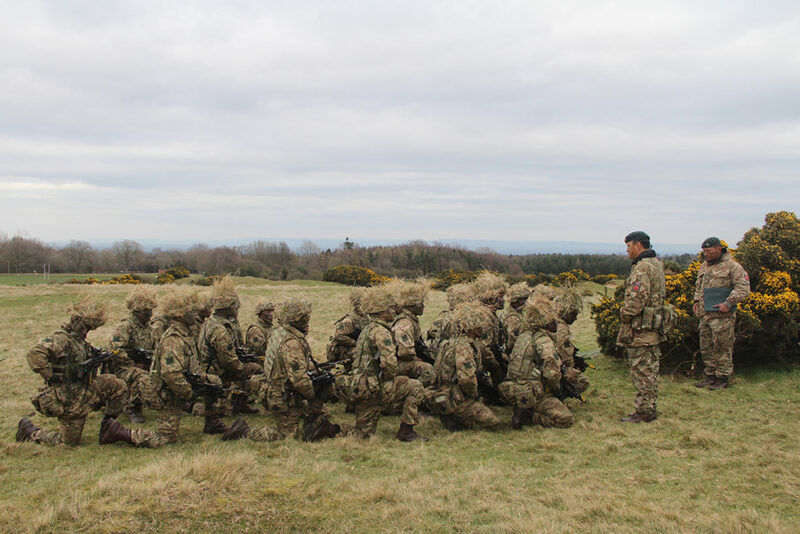 The first week consisted of general admin to ensure all recruits could begin the Combat Infantryman’s Course with the correct kit and equipment. They were also introduced to the art of ironing their clothes, making their beds correctly and polishing their boots to an impeccable standard. Platoon Commanders began their interviews to meet and began to understand the recruits within their platoon. The following week, Skill at Arms lessons commenced. This teaches the recruits everything they need to know about their personal weapon the SA 80 A2. This includes the named parts of the weapon, how to take it apart and put it back to together as well as the correct way to clean it. The culmination of these initial skill at arms lessons will be the weapon handling test which is conducted in week four. This proves the recruits are now safe to operate the weapon on their own and can carry out all the relevant drills correctly. Introduction Exercise One was the first field exercise of Combat Infantryman Course and saw the recruits stay out in the field for a night. This exercise aims at teaching the trainees the basic skills to operate and survive in the field. They received lessons on how to sleep, eat, wash and conceal themselves whilst in the field environment. The exercise also provided an opportunity to practice their morning routine which they will be tested on in subsequent exercises. The highlight for many recruits was the pyrotechnics demonstration which showed the use of various illumination and its effect on visibility at night. The focus at the moment is on navigation, the recruits have been taught the basics and this will be put to the test at the weekend on their first navigation exercise. They will be required to plot grids and move from point to point without the assistance of their section Commanders. Many trainees are already looking forward to Introduction exercise two commencing next week, this will put their personal admin to the test and increase their understanding of working within their section. 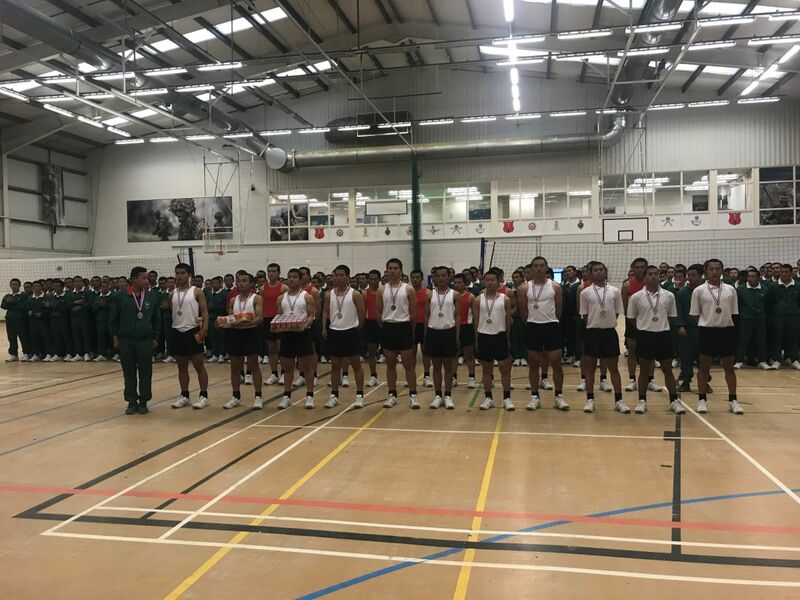 Gurkha Recruit Intake 19 arrived in the UK after a long journey from Tribhuvan International Airport Kathmandu to Manchester and London Heathrow Airport. 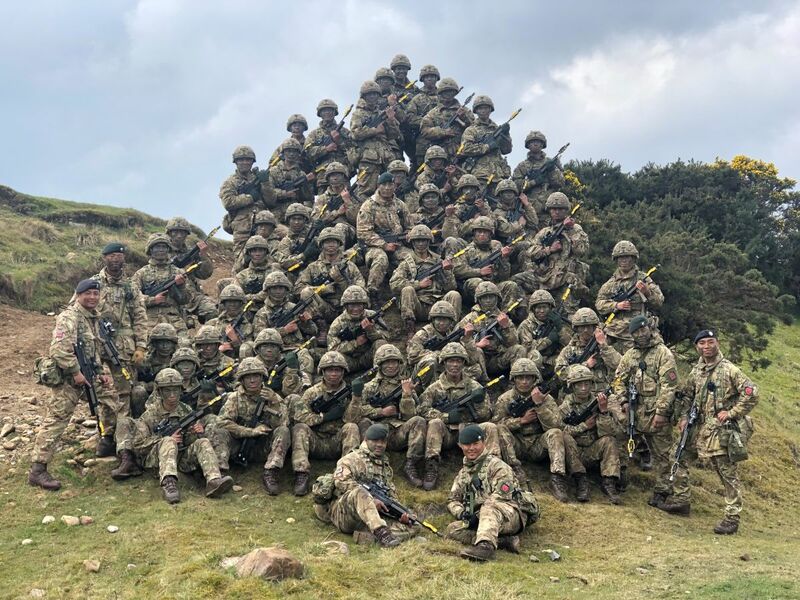 They are now stationed in Helles Barracks at the Infantry Training Centre, Catterick and eagerly waiting to receive the first part of their basic training. 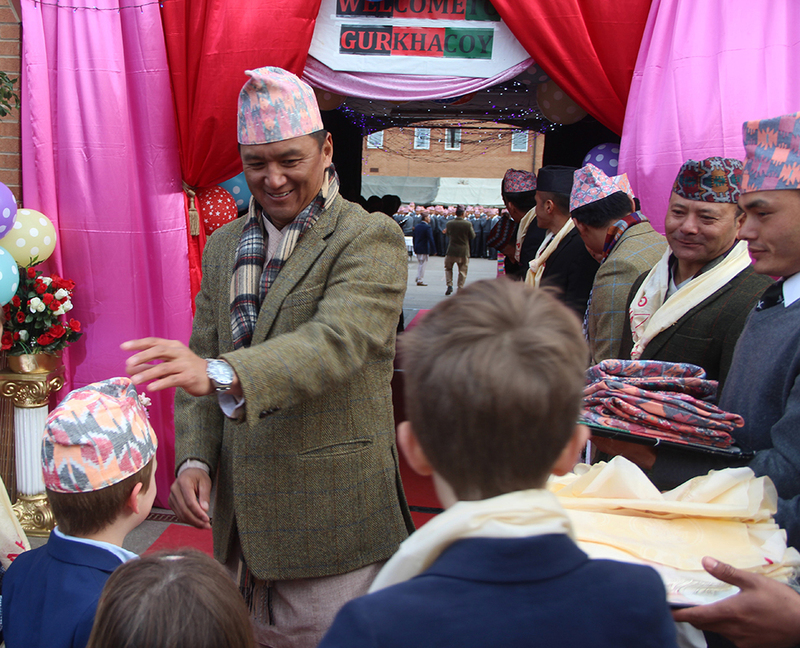 On arrival, a crowd of families and staff welcomed them in Helles Barracks in true Gurkha traditional style. The presence of families and staff created a warm welcoming and family environment which immensely reinforced their confidence in this unfamiliar surrounding. They are now going through a scheduled week-long induction programme which incorporates camp induction, initial issue of clothing, medical and dental check-ups and some final documentation. They will be given an opportunity to contact their parents and extended families in Nepal and share their first experiences in UK. From next week, they will commence a tough and enduring training programme. They will complete their initial basic phase of training on 16th May 19 and passage into the advanced phase. All recruits will be graduated from ITC Catterick on 14th November 2019 and by 17th November 2019 they will be joining their new regiments around the UK or Brunei.